The G70-2VH-S comes fitted with an internal PCB board allowing it to be controlled by the Genesis touch pad, giving you option to vary your bathing experience. Blowers with integral heaters, heat the air flow and don't cool the water down as fast or feel cold on your body, giving a far more enjoyable bathing experience. If you are planning to upgrade to a heated blower, it is recommend to check that your plumbing can cope with the additional heat generated by a heated blower. Always refer to the manufactures speifacations and guidelines. 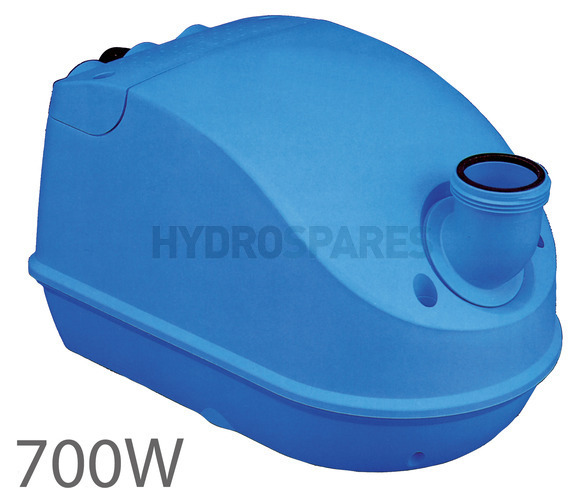 Is this a suitable replacement for an Airbath International blower GA 70 -2NN - S ? If your blower has a touch pad that is wired straight into it then yes this is the correct blower. The NN part of the code stands for a basic blower, Airbath Int used to use these basic blowers and modify them putting their own electronics into the top in order to allow connections to their specific touch pads.